Mindfulness is awareness. It is awareness of your thoughts, feelings, emotions, body, surroundings, fantasies, fears, and most importantly, attachments and aversions. Mindfulness exercises belong to an ancient art that is gaining more traction and attention in the modern world. 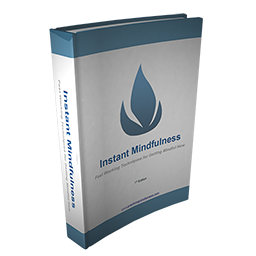 This article will serve as a brief introduction to mindfulness, and give a few practical examples that you can use immediately to feel the benefits of mindful practice. Mindfulness exercises are most credited with the teachings of the Buddha, and subsequently, Buddhism. While the practice is associated deeply with Buddhism, it needs to adhere to no certain dogma. It is but one of eight rights of the noble eight-fold path in Buddhism. The practice is very practical, and need not be deeply associated with just one religious group. The benefits of practicing mindfulness exercises are many, and are being discovered frequently. Everything from helping to instill a generally calm and peaceful attitude, to helping returning warriors with post traumatic stress disorder in a much more complex sense. The ability to understand and witness your mind in action can do wonders for your life in many areas. 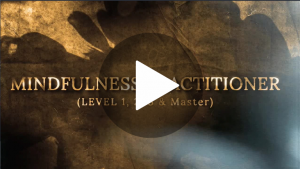 Through the practice of mindfulness exercises, you learn to see your thoughts for what they are, and you begin to see the intricate patterns of cause and effect between your thoughts and moods, and more importantly, your actions and relationship to yourself, others, and the world at large. Mindfulness exercises are deceptively simple and can be boiled down to simply observing your thoughts without getting carried away with them, or attached to them. In the simplest scenario, you sit in a quiet place, close your eyes, and watch your thoughts go by as if watching a movie. You don’t get involved with the characters or plot of the movie, but more than anything, just be aware of what is happening, and if something interests you, make a quick note, then go back to watching. While this sounds simple and useless, it’s anything but. The ability to watch your own thoughts without getting swept away in emotion is an ability reserved to masters. Try it and see. It is very easy to get caught up in your thoughts and before you know it, you’re daydreaming and not practicing mindfulness at all. You find that you’re worked up over some fears or anxieties, or angry at something that you thought about. You’ve lost your focus and your way. With practice, you will be able to return to just being an observer. You will get better at simply returning to your seat in the movie theater and watching the film go by without any attachment. You will come to understand that you are not your thoughts, and they are in fact separate from who you really are at your core. Luckily, there are some great mindfulness exercises that can give us the to just sit and watch. These techniques work when you work with them. Like anything, practice makes perfect, and the more time you invest in this, the greater the returns will be for yourself and those around you. The following are a few very quick and practical techniques for feeling the power of mindful practice. These are great for beginners and seasoned practitioners alike. Feel free to use them as an introduction to mindfulness, or as a way to return to mindfulness when life gets crazy and you lose your way. Stop wherever you are, take a deep breath, hold it for a count of five, then slowly exhale. Do this a couple of times to relieve stress and quickly relax a bit. Then, simply turn your mind to your hands. Drop them to your sides and feel them with your mind. Pay attention to how they feel. Are they warm, cold, tingly, sore? Feel them just hanging at your sides. Make a note of what they feel like, and try to keep your attention there for ten seconds. If your mind wanders, gently return your thoughts to your hands. Feel them. Feel the energy flowing through them. 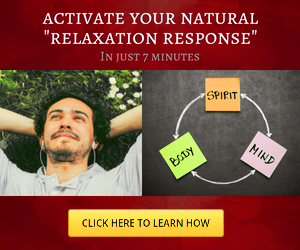 This exercise will get you in the habit of paying attention to what is happening in your body. The more you do this, the longer you will be able to concentrate on your hands without distraction. Sooner or later, you’ll be able to do this at will, and will be able to do this with any body part you want. You will become aware of things that you normally never pay attention to in your day to day fight in traffic and hectic lifestyle. Sit and breathe in and out. Breathe in deeply, hold, then exhale to relax yourself. Do this a few times until you feel a bit more relaxed than you are now. Once you are calmer, simply breathe in and out, and focus on your breath. Feel it moving into you, past your nostrils, up into your head, then down into your chest. Feel your abdomen expand, and if you are breathing with your chest, try to move that to your abdomen. Abdominal breathing will give you a better and deeper experience. Simply observe your breathing as you did with your hands in the first exercise above. This practice is a gateway into a profound and deeper experience of life itself, but for now, just get the practice down. If your mind begins to wander, just bring it back to your breathing. Do this technique for a few minutes, and you can even set a timer to go off after five minutes if your are pressed for time. The more you do this technique, the more the next one will work. Sit and observe your thoughts. Like you did with the previous two exercises, relax first through breathing in, holding, then exhaling. Then, like you did with your hands and your breath, just watch your thoughts go by. If one thought leads you off and seduces you to follow it, gently remind yourself to sit and simply watch your thoughts race by. The less attachment you have to them the better, but at first this will be very, very difficult. We are conditioned to be reactive, and we have monkey minds that race from thought to thought. This exercise goes against everything we’ve been conditioned to do in modern life. Don’t get discouraged, as this practice is meant to be used for a lifetime. It’s not a stepping stone, but a journey in itself. Over time, these simple mindfulness exercises will lead you to deeper levels of understanding about yourself, and ultimately about others. The trick is to keep practicing them. Make them a habit, even for five minutes a day if that’s all the time you have. You will notice a difference in your world.